Verlyn Klinkenborg gives an Author Talk, June 12, at Essex Library. ESSEX — Join Essex Public Library in welcoming author Verlyn Klinkenborg on Tuesday, June 12, at 7 p.m. His talk is titled Choosing A Book: The Author and The Reader. Klinkenborg comes from a family of Iowa farmers and is the author of Making Hay and The Last Fine Time. 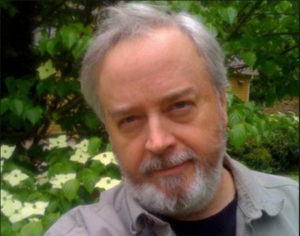 A member of the editorial board of the New York Times from 1997 to 2013, he has written for The New Yorker, Harper’s, Esquire, National Geographic, Mother Jones, and the New York Times Magazine, among others. His essays on rural life were a beloved regular feature in the New York Times for many years. He lives on a small farm in upstate New York and teaches in the English Department at Yale. This special event is free and open to the public. The Essex Library is located at 33 West Avenue in Essex.